« What were the twelve tribes of Israel? How often have Jews, hearing these words, felt hurt deep inside. Was this the Gospel, the Good News? And they closed their hearts against it. The meaning of the Greek word “Ioudaios” in the Gospels should not be taken as “Jew” (the meaning of the word outside the country), but as “Judean” (inside the country). After the fall of Jerusalem (70 AD) only the meaning “Jew” persisted to describe someone of the Jewish people and of the Jewish religion. But before the fall of Jerusalem the dominant meaning of “Ioudaios” in Israel was: someone from Judea, in contrast with someone from Galilee. Galileans were poorer and less well educated than the Judeans, moreover they could not proudly refer to a temple in their midst as the Judeans could. 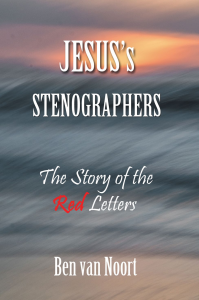 Historically theologians date the Gospel of John late, in 95 AD, and gave the book a flavor of anti-Semitism, as if John was writing about the Jews as a whole rejecting Jesus. And that is far from the truth. The Gospels clearly show that many people in Israel had a deep respect for Jesus, as a whole they certainly did not reject Him. Happily today many tend to date the Gospel of John early, before 70 AD, with the consequence that the meaning of the word “Ioudaios” is to be taken as “Judean” in contrast to “Galilean” (compare CJB, Complete Jewish Bible). In John 8:4 Jesus did not blame all the Judeans for being descendants of the devil. Only a few who were present and argued with him and who were ready to finish a religious disagreement with “murder and killing” (8:37, 59). They were just extremists and it was absolutely against the standards of traditional rabbinical teaching to kill because of a different theological opinion (compare Gamaliel's counsel Acts 5:33-39), despite the complaint “Jerusalem, Jerusalem, the city that kills the prophets and stones those sent to her!” (Luke 13:34) This was seen as the work of extremists even if they were in high positions. For that reason Jesus could accuse his extremist opponents of chapter 8 as being descendants of the devil. Not because they were sinful men, but because they wanted to kill him at the very moment (8:37, 59). He didn’t label all the Jews as children of the devil, despite it appearing so in many translations. In 1 John 3:10-12 and 5:16 we discover the same distinction: sin to death (the way of Cain who killed his brother Abel: dangerous extremism). New Testament interpretation has made the Gospel of John into a seeming anti-Semitic book by dating it in the year 95 AD. At that time the restricted meaning of “Judean” (for Ioudaios) had long since disappeared. Only the meaning “Jew” remained with the result that the Church fathers read the Gospel of John as blaming the entire Jewish nation “the Jews” for rejecting Jesus. Many translators and theologians continued on the road the Church fathers had set. They didn’t trouble a lot about the consequences of anti-Semitic feelings they spread, which contributed seriously to the great disasters for the Jewish people later on in history, in the Middle Ages and even in Modern Times. The real question is: Is John’s Gospel anti-Semitic or are the interpreters to blame who so uncritically followed the road of translation that was set in early Church history?